This pair of Equalizer 2.0 Perfect Game Skechers boy's shoes are perfect for preschool and grade school children. 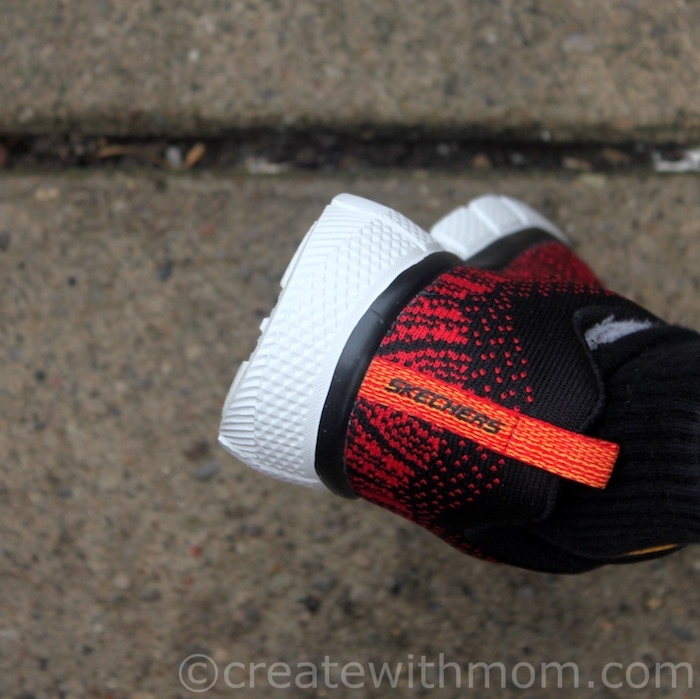 My son likes how comfortable, lightweight, flexible, and "cushiony" these shoes feel. He enjoys wearing them, and feel that they are perfect for running, jumping, and to do a variety of different sports. The material on the outside has a unique flat Skech solid knit fabric with a cool design. 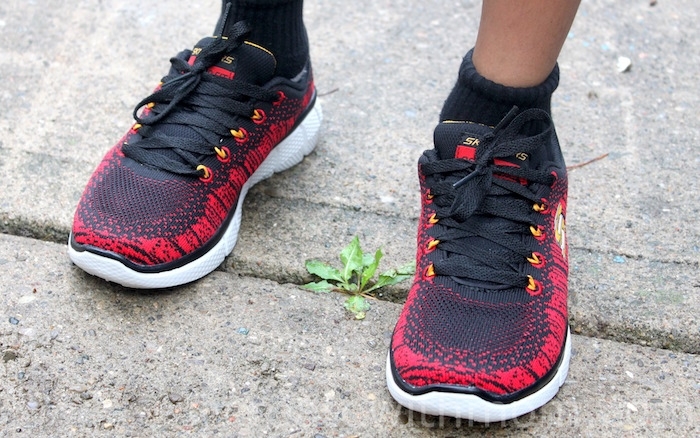 This pair comes with a pair of black laces, and red ones so children can switch it up if they want for a different look. My son likes that these shoes have lace. I too prefer the lace on footwear, as it is more durable compared to Velcro and it is a wonderful way for children to learn to tie shoe laces. This relaxed fit Skechers have air cooled, high rebound memory foam that contours to the foot shape and absorbs impact. The perforated dual-lite footbed increases breathability, as it has a wicking insole lining. The lining is made with soft fabric to provide long comfortable wear. The construction is seamless and the heel panel has striped overlay, and a S logo on the side. The outsole has a 1 1/4 inch heel and flexible traction making it perfect to wear for different occasions such as playing indoor or outdoor. 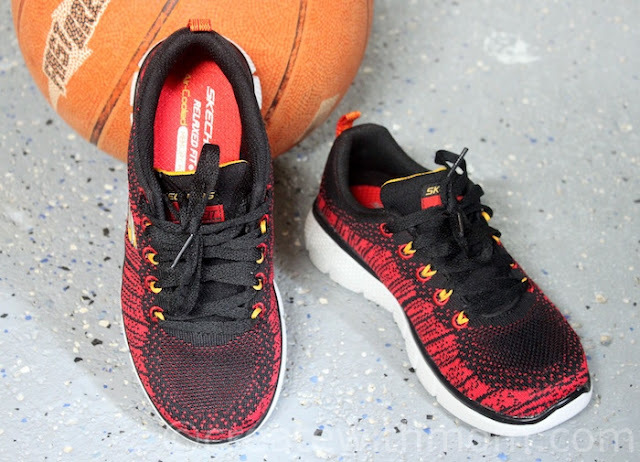 Equalizer 2.0 Perfect Game from Skechers is available in this beautiful Black/Red shade, as well as Black/Lime, and Charcoal/Orange. I love sketchers. Been buying the for my son since he was 4 and they last forever!! Very good quality! 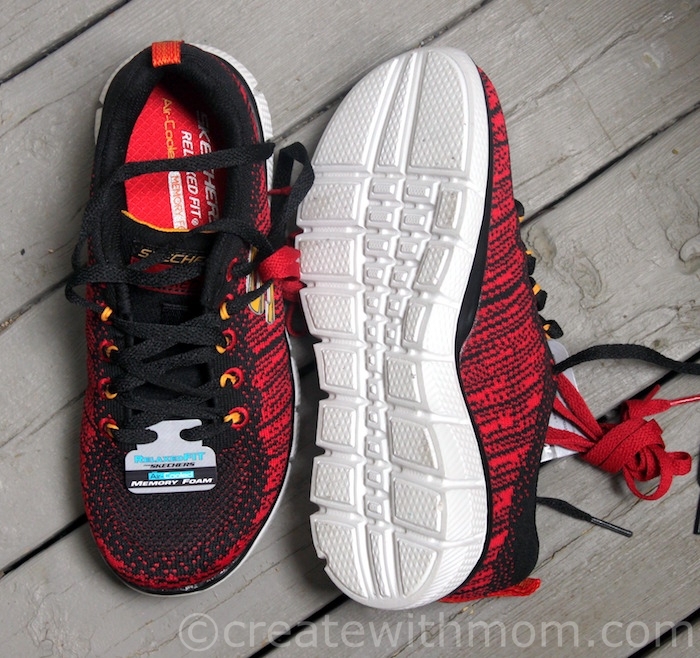 I love Skechers shoes for their styles and comfort.They have shoes for everyone's likes and styles.I have lots of Skechers shoes and they never disapoint. These shoes are nice and colorful and have a very good sole on them. Skechers are one of my most favorite shoe brands. Stylish and super comfy. I like Skechers shoes, they are stylish and comfortable. I love Skechers as not only are they good looking but they are also very durable! Skechers are our family's favourite foot wear. I love that they have so many styles for men, boys, women and girls! 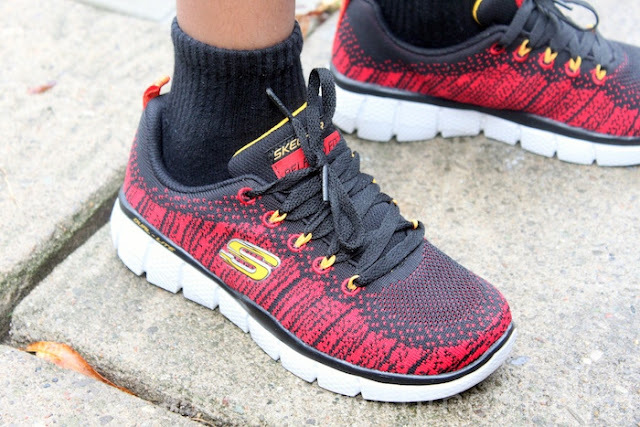 Skechers has so many styles to suit every taste. My grandchildren got to pick their favourite pair this week and they liked so many of them that it took quite some time for them to decide. These are colours he would like a lot. Almost like racing flames.